In an effort to expand my studio portfolio, I'm offering a special for mini-sessions next week! This is really exciting because I'm growing to LOVE studio lighting and all the versatility of shooting indoors (especially with this early fall heat we're battling in Southern California!). 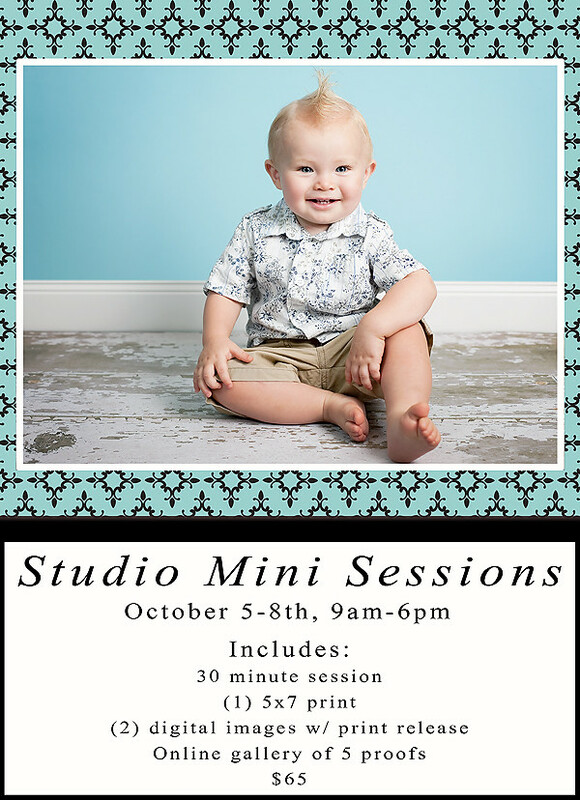 These mini-sessions are open to families, children, maternity, cake smashes, fall themes, Halloween costumes, etc. I will customize the shoot to relfect your style and personality. The possibilities are endless! Let's share ideas and have some fun! Call or email today to schedule your session! We are located in Winchester, CA, just 5 miles east of the 15 freeway. Take a look at this and check out the rest of the blog for examples of recent studio sessions. Thanks! UPDATE: I forgot to mention that additional prints will be discounted 50% when you schedule one of these sessions.